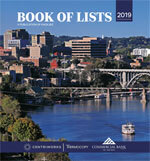 Top Knoxville-area Travel Agencies ranked by local employees and Certified Travel Counselors. Includes employment information, types of travel services offered and complete contact information. Data in Excel format suitable for easy download.